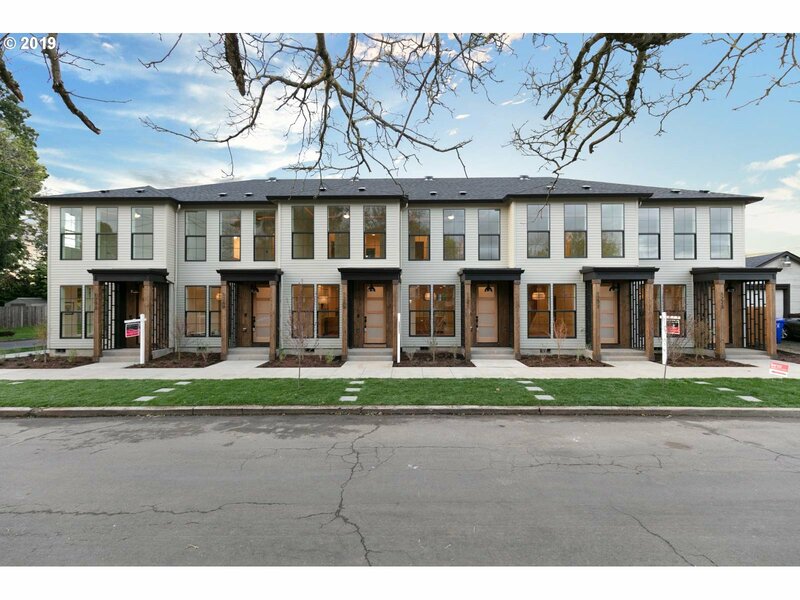 All OVERLOOK homes currently listed for sale in Portland as of 04/23/2019 are shown below. You can change the search criteria at any time by pressing the 'Change Search' button below. 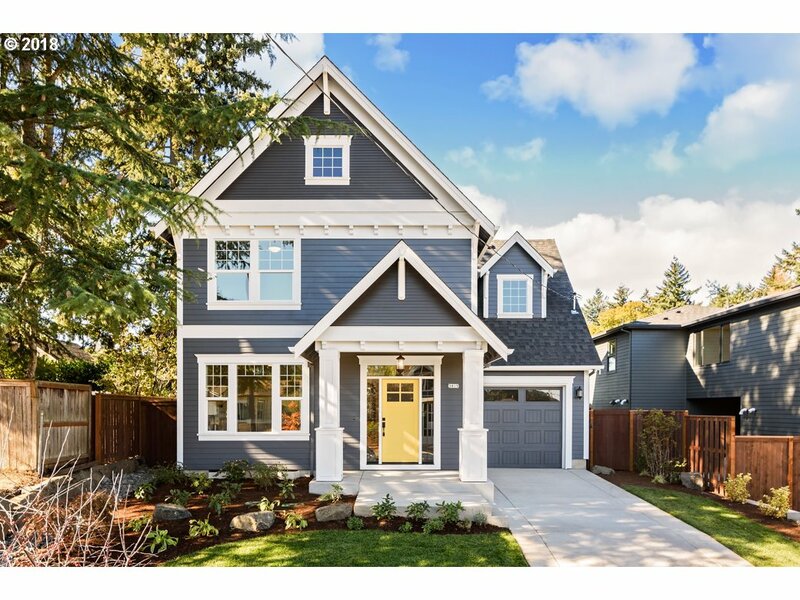 "Gorgeous vintage style home with all the designer options you would expect from Portland's #1 award winning builder! Spacious, open floor plan with slab kitchen counters;island/eating bar & Farmhouse sink! Extensive hardwood flooring and millwork. 3 bedroom 3 bath, den/office on main floor and a bonus room upstairs. Fully fenced/landscaped front & backyard w/ irrigation. Photos are representational - New pics coming soon!" 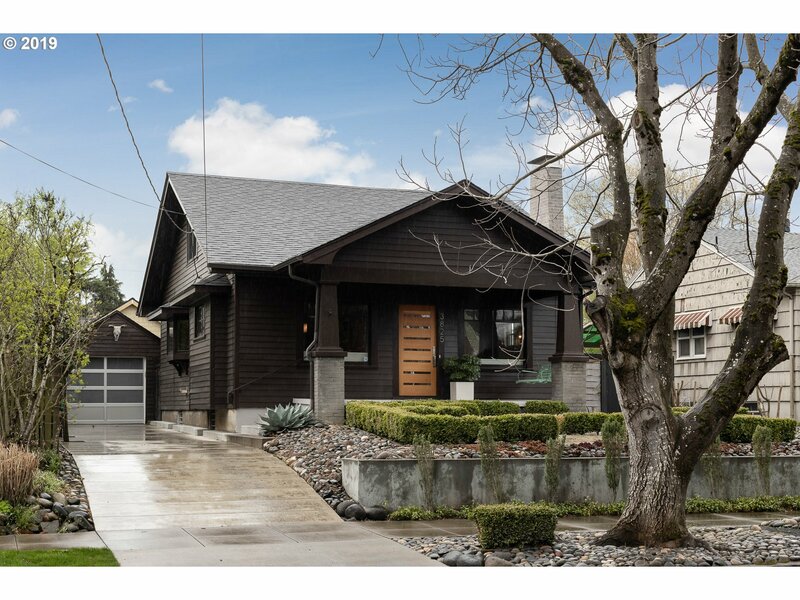 "One block from historic Overlook Park, sits the definition of Portland charm and style. Hardwood floors, original built-ins, and a generous 3rd floor master with walk-in closet and beautifully tiled bathroom. The backyard, with a modern water feature and gas fire table, rivals the best boutique hotels in Portland. Permitted basement Airbnb, netting $25K+/yr. A truly fabulous home in a fantastic location. [Home Energy Score = 4. HES Report at https://rpt.greenbuildingregistry.com/hes/OR10116941]"
"Location! 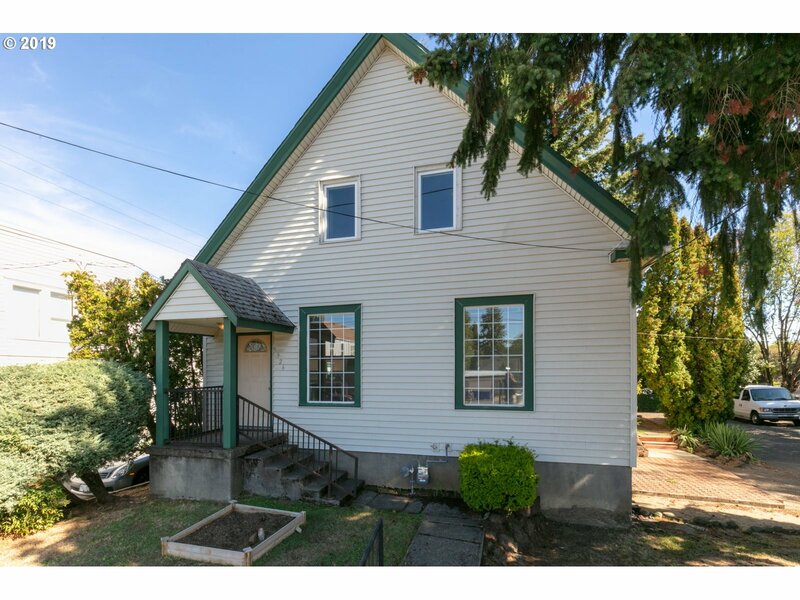 Beautiful home in highly desired Overlook Neighborhood in North Portland. 3 Bedrooms & 1 full Bathroom w/ large family room. 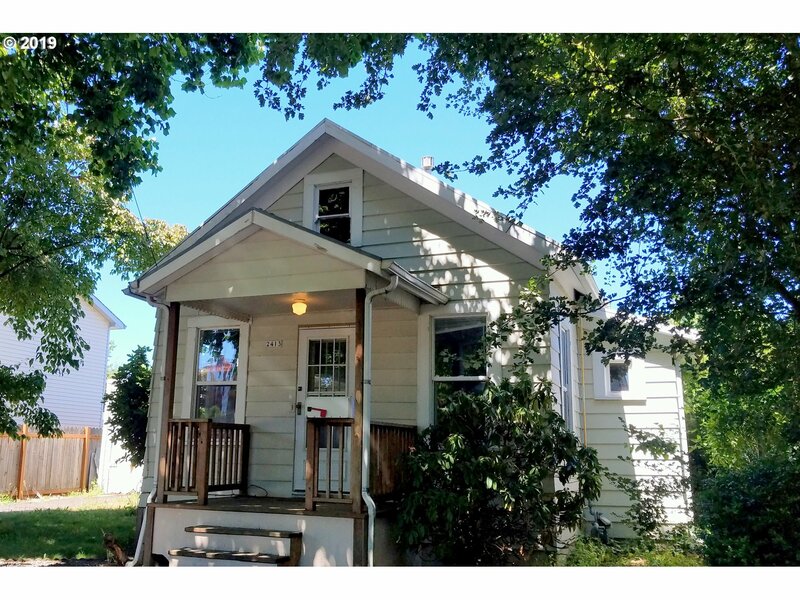 Original charm w/ restored hardwoods, built-ins, and wood burning fireplace. Completely fenced & serene backyard. Detached tandem 2-car garage that could be converted into an ADU. Main level living. Easy access to public transit, downtown, U of P, restaurants, pubs, and airport. A MUST SEE!" "Opportunities abound in this amazing location zoned CM1 (buyer to do due diligence).Existing home was used as office space more than a home. Conveniently located in the hot Overlook neighborhood and just minutes from a wide variety of local amenities including coffee houses, shops, parks, and schools! Perfect for all kinds of development! Commercial, multi-family, office or condos!" "Designer finishes&colors throughout,fantastic floor plan,smart home technology, beautiful kitchen w/custom cabinetry,quartz slab countertops,stainless steel appliances,wide plank wood floors&lots of windows offering natural light throughout,tall ceilings,lots of natural light,covered entries,beautiful master suite,Cedar soffits&accents, extensive tile&more! Amazing location 87WalkScore & 91BikeScore!Close to a ton of amenities!" "Investment opportunity! Great 1950 Overlook home with hardwood floors and updated kitchen and bath. Spacious rooms and main floor laundry, too. Located near Adidas Campus + walkable to numerous shops + restaurants! Home is currently leased through November 30, 2019 ... contact your agent for details/showings. [Home Energy Score = 2. HES Report at https://rpt.greenbuildingregistry.com/hes/OR10108662]"
"OPEN TUES 12-2 ~ 4 Pending; Only 2 left! 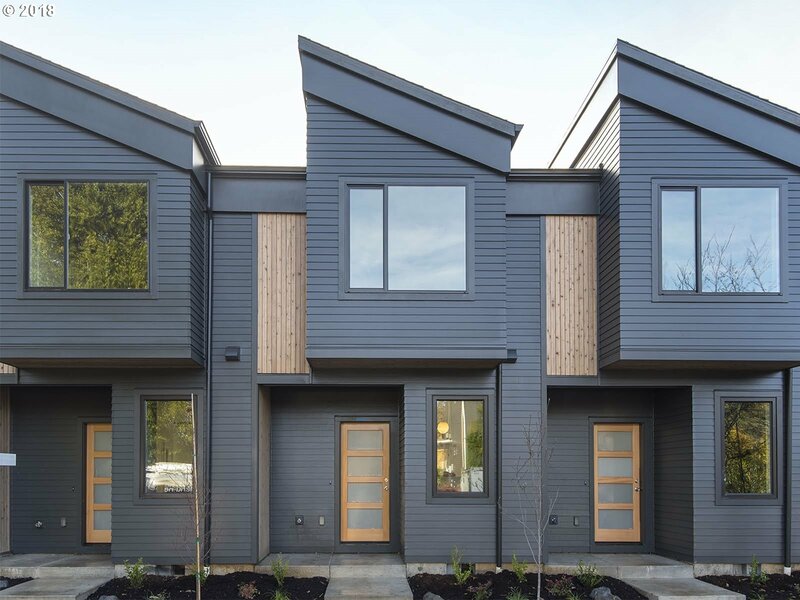 ~ WEBSTER ROW: Intelligently crafted, modern homes. Exceptional design, energy-efficient features, and easy access to urban amenities. Open floor plan, high-end finishes, bedroom suites with vaulted ceilings, attractive outdoor patio. E-Star appliances, Navien tankless water heater, Daikin mini-split/AC. Walk to: MAX, New Seasons, Mississippi, Alberta Arts. Bike Score 93, Walk 84." "Sweet Bungalow in coveted Overlook neighborhood, with desirable large fenced yard. Cottage style kitchen with pantry storage. Laundry area on back porch. All appliances, including washer/dryer are included. Perfect for starter or down sizing. Conveniently located near transportation, freeways & neighborhood shops/restaurants. Blocks from MAX & easy route by bike to dwntn. Currently rented, do not disturb tenants. Lease expires 6/30/19. [Home Energy Score = 3. HES Report at https://rpt.greenbuil"
"Beautiful, loft-style modern Overlook ground floor condo is close to Mississippi Ave. Open floor plan, 10-ft ceilings, exposed beams. Large master, 2nd bdrm opens to living rm. Washer & dryer included. Parking space in back w/no steps makes it easy to transport groceries via side door. Patio space in front & separate fenced side area. Near Interstate MAX line, Overlook Park & pedestrian pathway to Mississippi St. shops & restaurants." "Here's your opportunity to own this charming, cozy condo located in the heart of Overlook! Walking distance from New Seasons, restaurants, Mississippi shops, and the max line. Enjoy the peaceful fenced courtyard & Gazebo on warm sunny days. This unit features 1 bedroom, 1 bath with hardwood floors, washer & dryer, granite counter tops and ample storage space. HOA allows pets, no rental cap."